International Baccalaureate is a non profit educational foundation based in Geneva, Switzerland, offers four highly respected programmes of international education, for students aged 3 to 19. IB offers Primary years programme (PYP), Middle years programme (MYP), Diploma Programme (DP) and Career related Programme (CP). Omega International School offers IB Diploma Programme (IBDP) for students in the final two years of Secondary School. IB Diploma Programme is designed as an academically challenging and balanced programme of education, for students aged 16 to 19, which prepare them for success at university and life beyond. Each subject is graded on a scale of 1 (min) to 7 (max). The award of the Diploma Programme requires students to meet the defined standards and conditions, including a minimum total of 24 points and satisfactory completion of core subjects – Theory of Knowledge (TOK), Extended essay (EE) and Creativity, Activity and Service (CAS). The maximum score of 45 includes three points for the combination of the Extended Essay and work in TOK. CAS activities have ranged from launching business ideas, to contributing to mainstream newspapers, trekking, rock climbing and mural painting. Students also make products in the school’s paper recycling plant. To increase students’ awareness of opportunities outside India, the school organizes several campus visits by reputed universities and colleges. Students have benefited from one-on-one interactions with counsellors from different foreign and Indian Universities. At Omega International School, IBDP students are provided a comprehensive career guidance support through Naviance – a comprehensive college and career readiness technology solution. The school believes in ongoing professional development of educators, in order to remain competitive and our certified facilitators take up several opportunities for professional development every year. 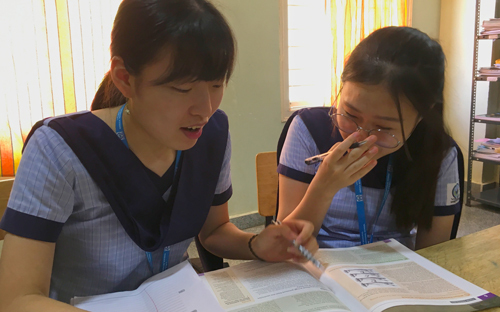 IBDP attracts some of the brightest minds around the world and Omega International School is proud to offer this rigorous programme to its students. 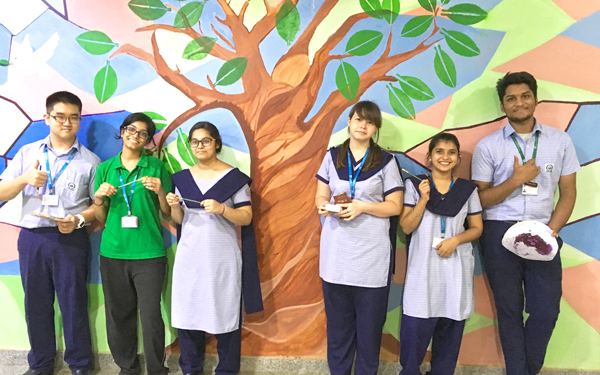 The International Baccalaureate Diploma Programme at Omega International School was offered for the first time in 2015 and the first batch has graduated with flying colours. The IBDP focuses on providing a strong foundation for college. Our students have been placed in some of the best colleges around the world. The Omega International School IBDP team comprises of dedicated facilitators and coordinators, who ably guide each batch through the myriad requirements that need to be fulfilled, to get the highly coveted diploma. We are committed to building on the impeccable legacy as Chennai’s most sought-after school, through a culture of hard work and an environment that supports every student academically, emotionally and socially.